Orthodontics (tooth straightening) and braces have improved a great deal since the days of the old school metal braces. So can we straighten teeth without braces? Traditional metal braces are still one of the most common options used by dentists and orthodontist to straighten teeth. But you might be interested to know that though there are a few other ways that teeth can appear straighter. Veneers or crowns to build up crooked teeth to make them look straight. This option can work by simple adding some porcelain to the smile to make it appear straight. It only works in certain circumstances though. Plates and removable appliances – can sometimes be used instead of braces if the person is still growing. You’d see a dentist or orthodontist and ask them about options besides braces. Not suitable for everyone. Clear aligners instead of braces (e.g. Invisalign) These can be almost invisible, and you wear a series of the aligners to move the teeth over time. Not suitable for all situations but very popular. 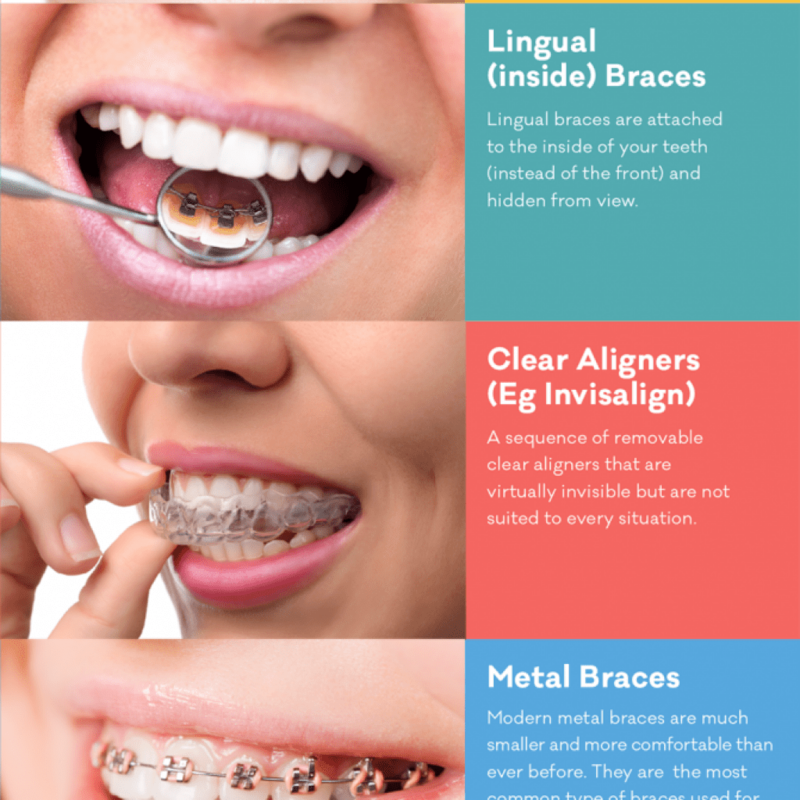 Lingual braces – these are braces that are hidden on the inside! These can be tricky but are commonly used for people who want braces but don’t want them to be seen when they are smiling. Hollywood actors and celebrities contribute heavily to the popularity of this option. They are not suitable for everyone though, and can also be difficult to get used to. 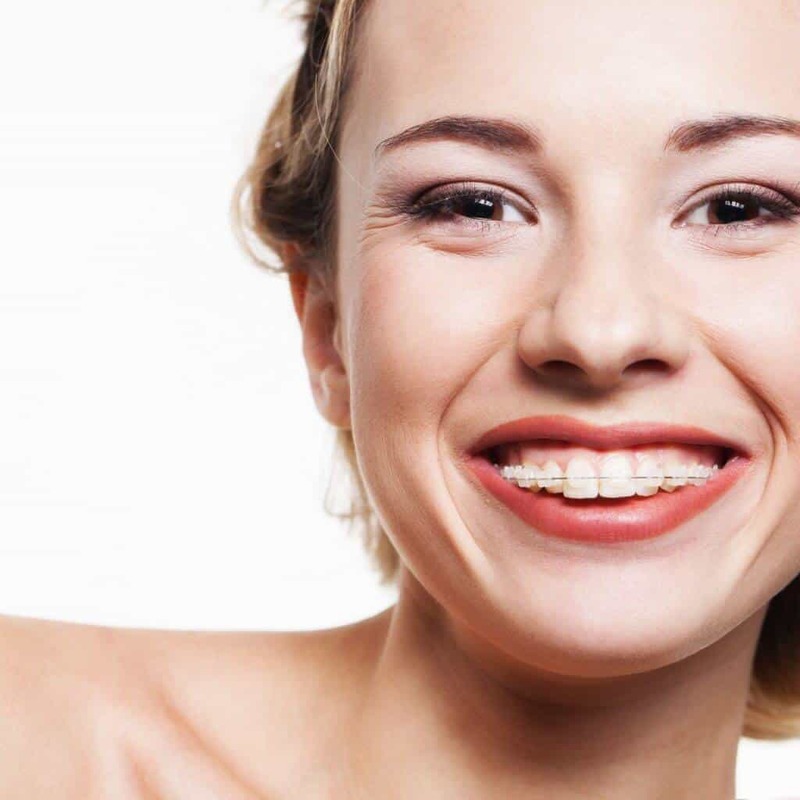 Ceramic braces – like metal braces but more discreet. They are like traditional braces except they have clear or tooth coloured brackets and wires. So as you can see there are a few options to straighten teeth without braces. But not all options are suitable for all people. Some people will just need traditional (but improved!) braces no matter what. But don’t despair – there are so many options available! So if you want straight teeth but really really don’t want braces – have a chat with your dentist and let them know. You’ll be surprised at the alternatives that us dentists can figure out for you! The Australian Society of Orthodontics (ASO) have put together this infographic for people who want to straighten their teeth. They commonly get asked, can you straighten teeth without braces? Here they list four different types of braces for people who need braces but don’t want to look like they have braces.